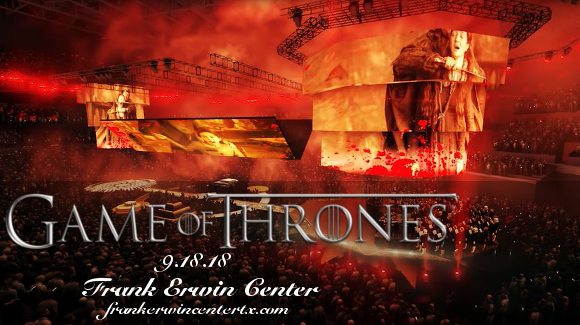 Game of Thrones fans listen up: series composer Ramin Djawadi’s Live Concert Experience is on tour once again, crossing the globe to delight audiences at the Frank Erwin Center live on Tuesday 18th September 2018! Guaranteed to be a sell out show. We're all very excited! Book your tickets early to get the best seats and prepare for a Game Of Thrones experience like no other!! What are you waiting for?? Grab your tickets now and prepare to dive into the world of Game Of Thrones! !